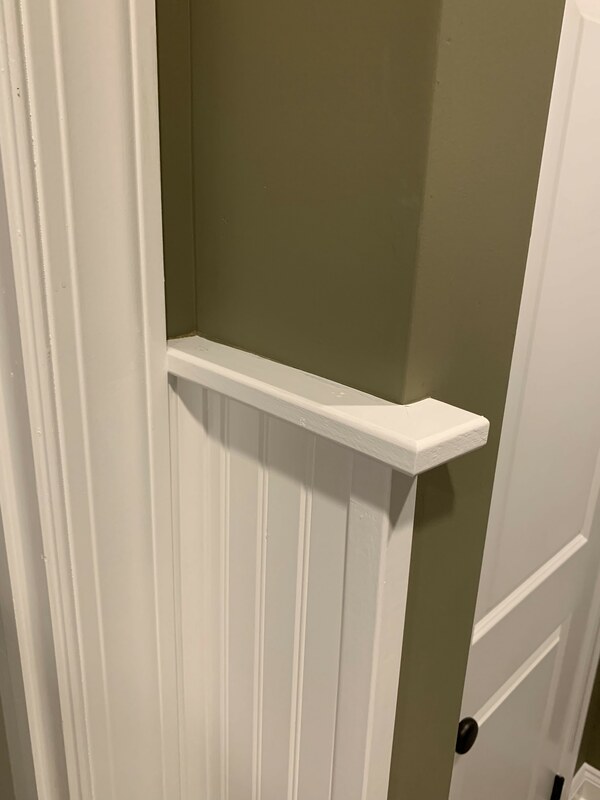 The key to a beautiful home is always in the details. 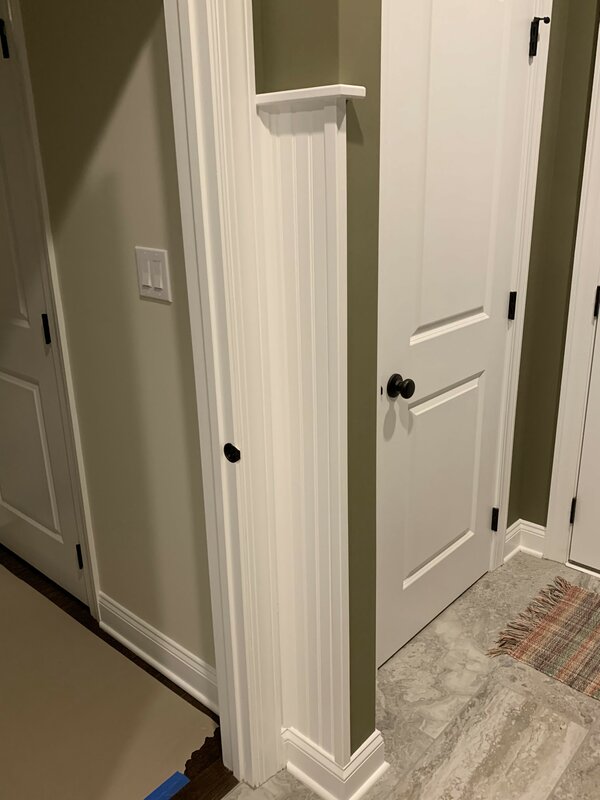 That is why giving new looks to spaces like hallways, laundry rooms, and basements are a simple way to give your home a stylish and practical upgrade! 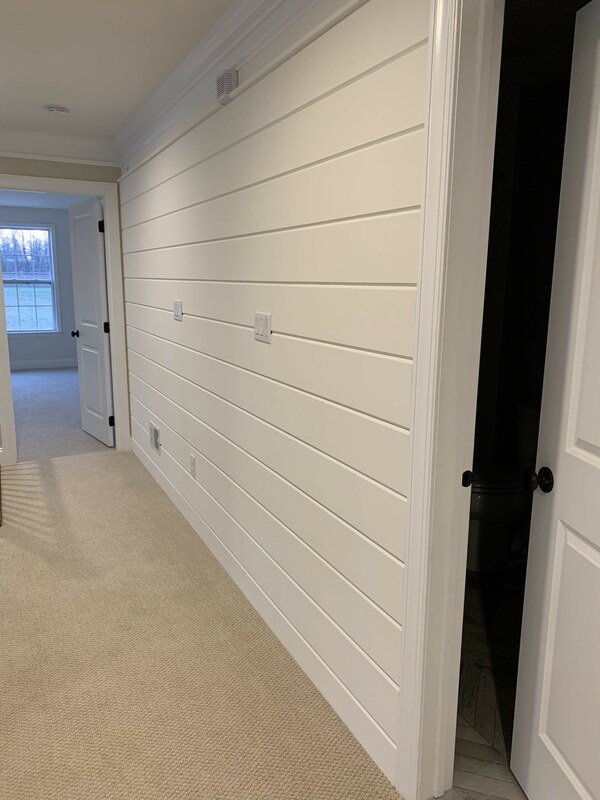 When this client in Collegeville called our experts at JR Carpentry & Tile, they had a freshly constructed home on their hands. They wanted us to go above and beyond what the builder could do, and we were up for the challenge. 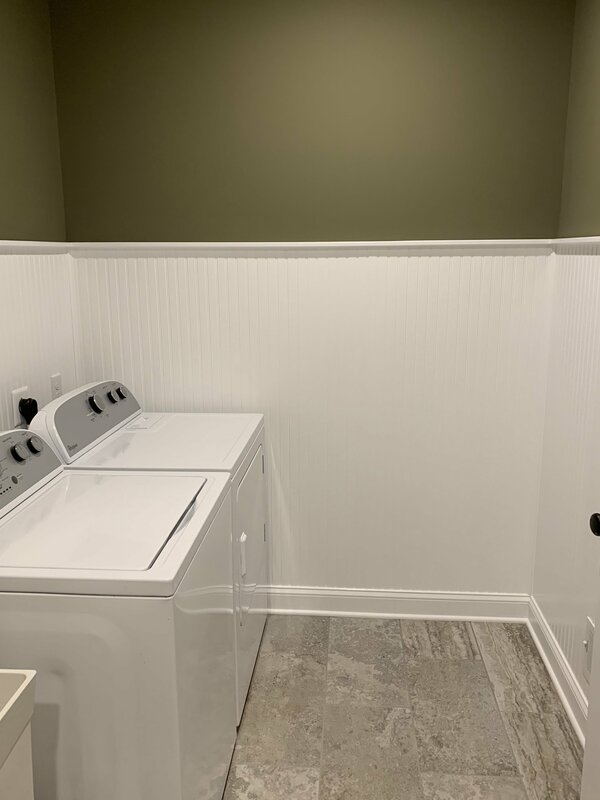 We redid their upper loft wall and laundry room to aesthetically tie these areas into the rest of their gorgeous home. 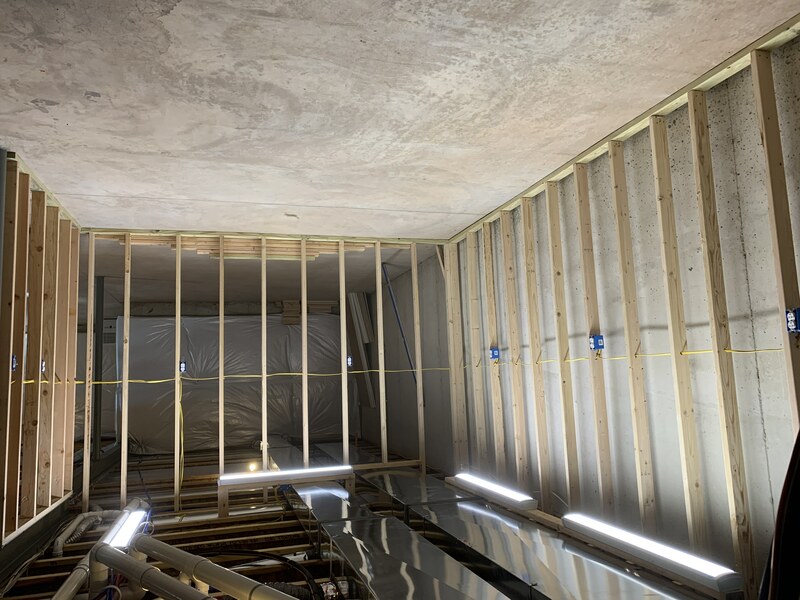 Then we added a spacious workshop to their basement. 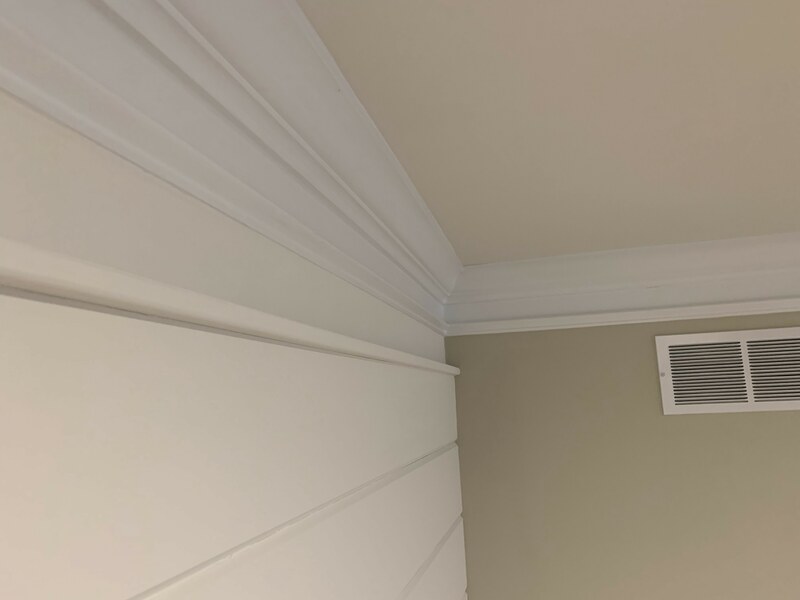 We were thrilled to come and help this homeowner achieve a look that made these often tucked away spaces ready to shine. 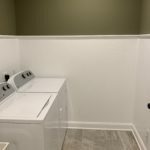 Their home was the perfect blank canvas for a new customized look, tailored to the homeowner’s wants and needs. 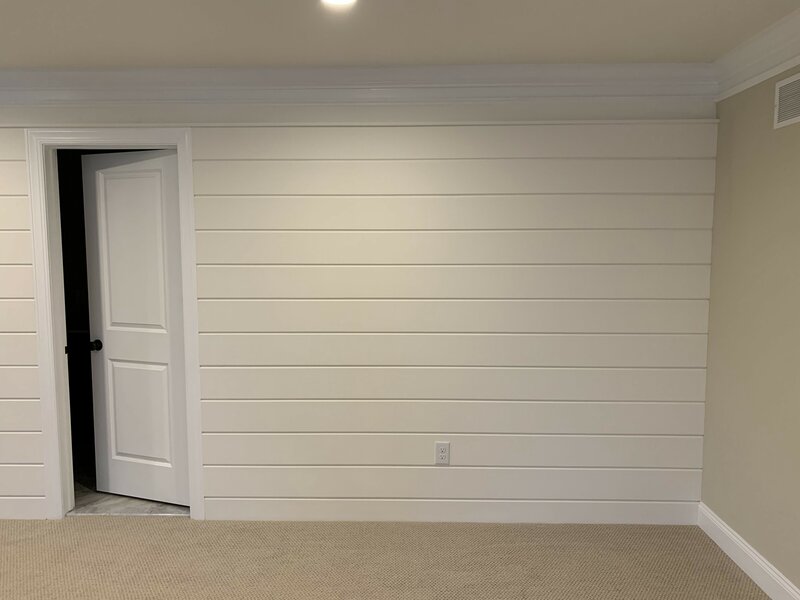 The client wanted to go with a clean and simple look that highlighted the natural charm of their rooms. First, we started by re-finishing the upper wall of their loft. 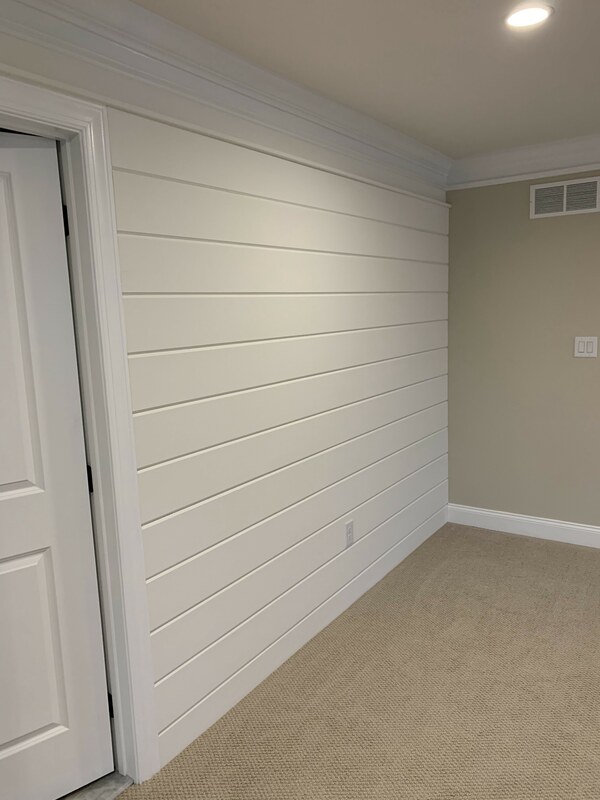 The wall was finished with 1×8 piece boards with a kerf cut on each edge to give the wall a beautiful “V” groove paneling effect. 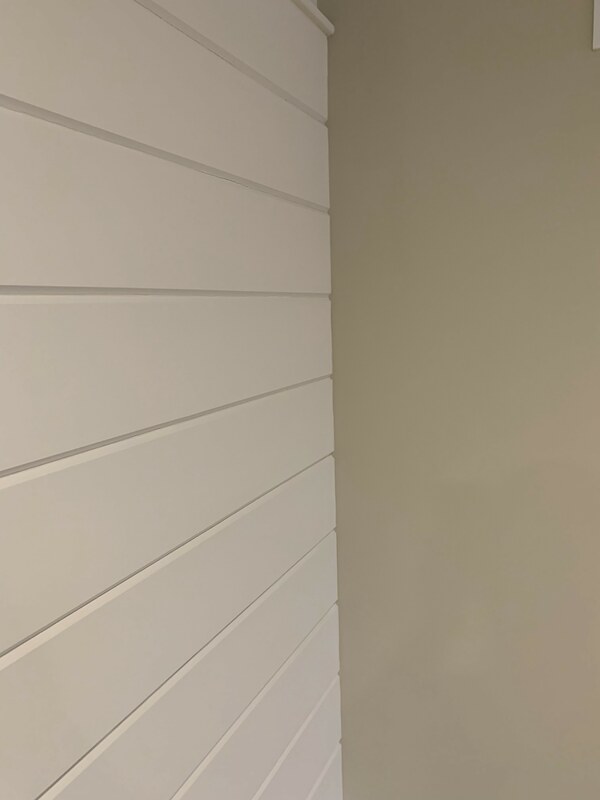 This is the upper wall of the loft you see right when you walk into the home and it now gives off an immediate wow factor. 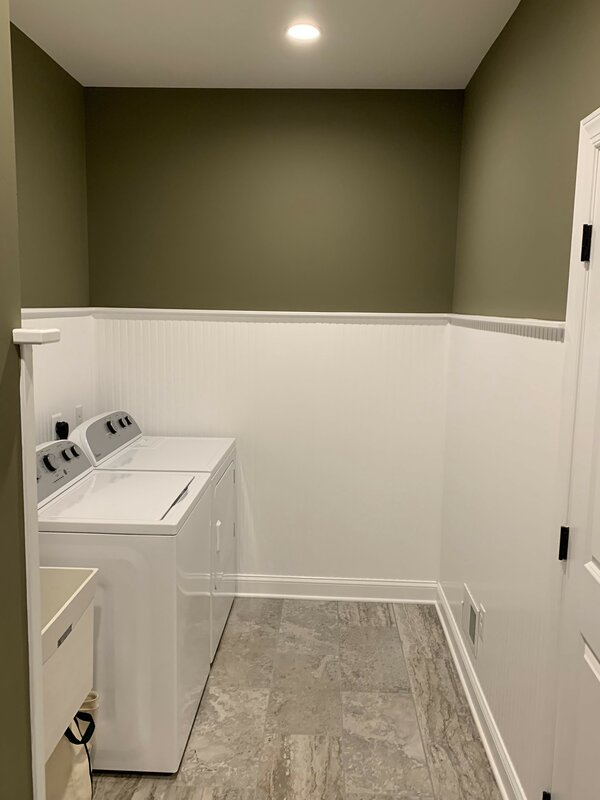 Next up was the laundry room. Redoing this room is a fantastic way to make a weekly chore seem just a little less tedious. 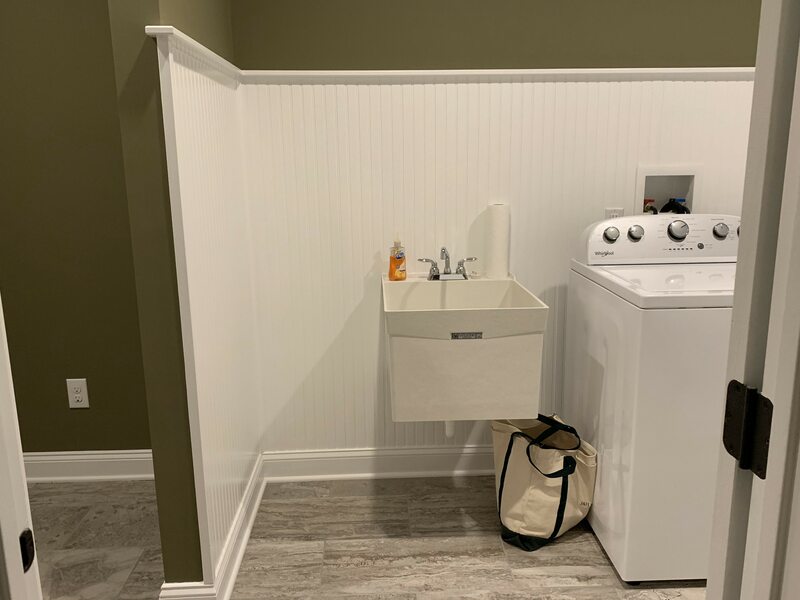 The homeowner wanted more of a stylish look in their laundry/entry mud room so we kept it sleek and light to keep this smaller space feeling open. 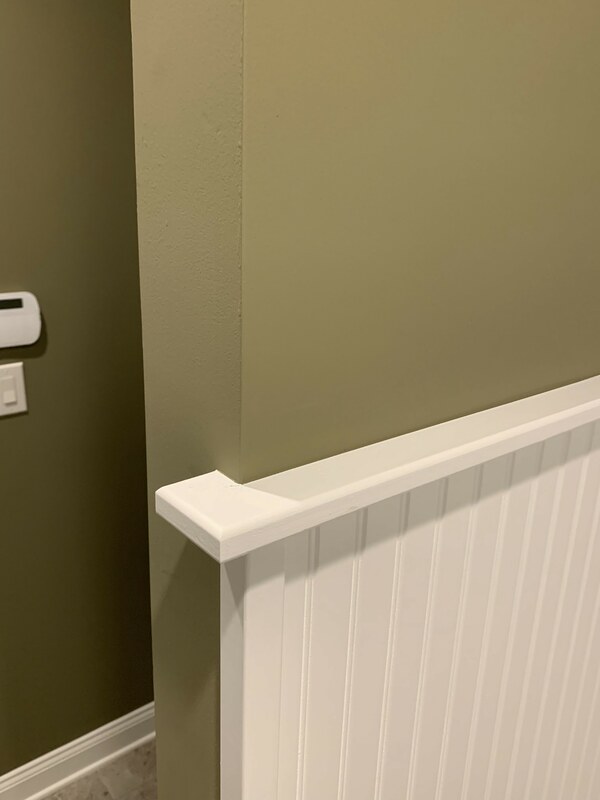 To accomplish this look, we installed a solid pine wainscot with a 1×2 cap to finish it out. 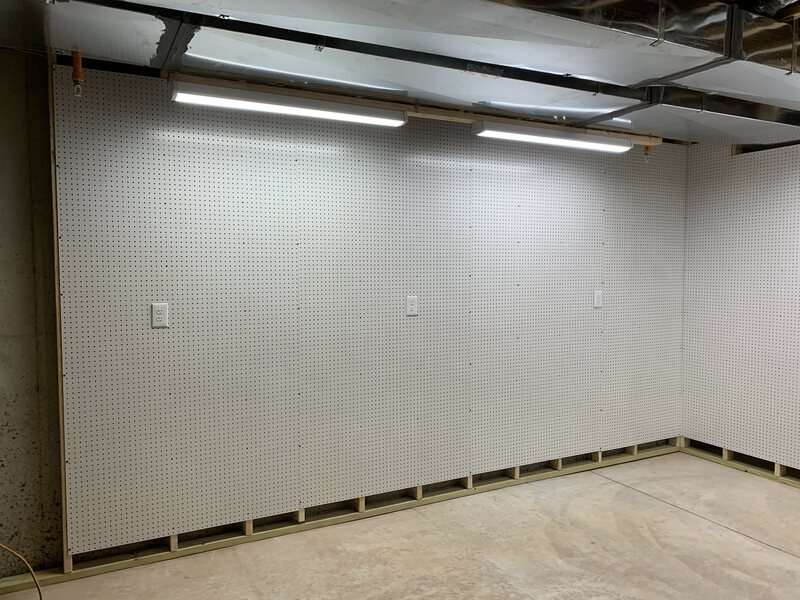 Lastly, we wanted to create a super convenient and well-organized workshop in the homeowner’s basement. 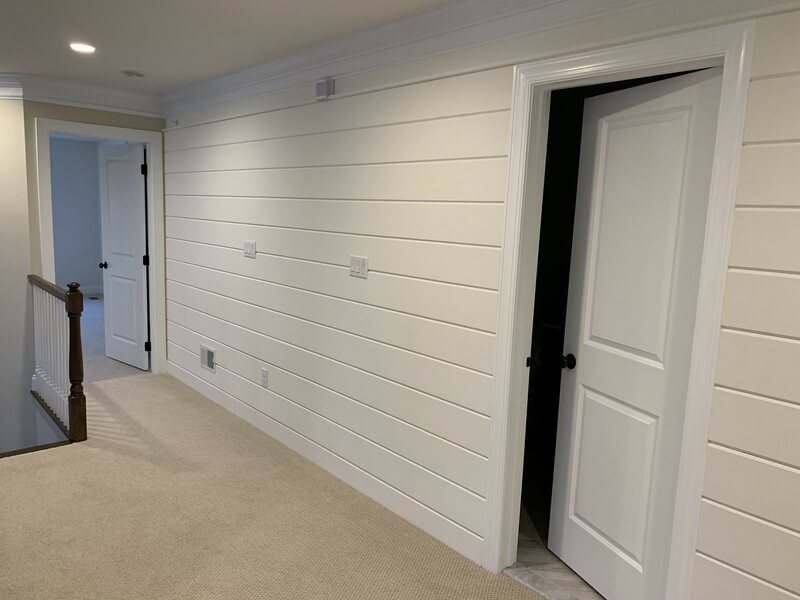 Being a new construction home, we helped get the house to where the homeowner wanted it to be. 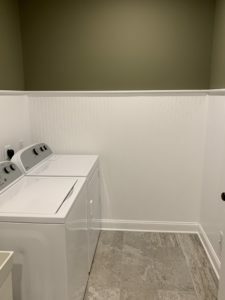 The homeowner needed a place that he could do small projects and hobbies without taking up too much room or leaving tools around. 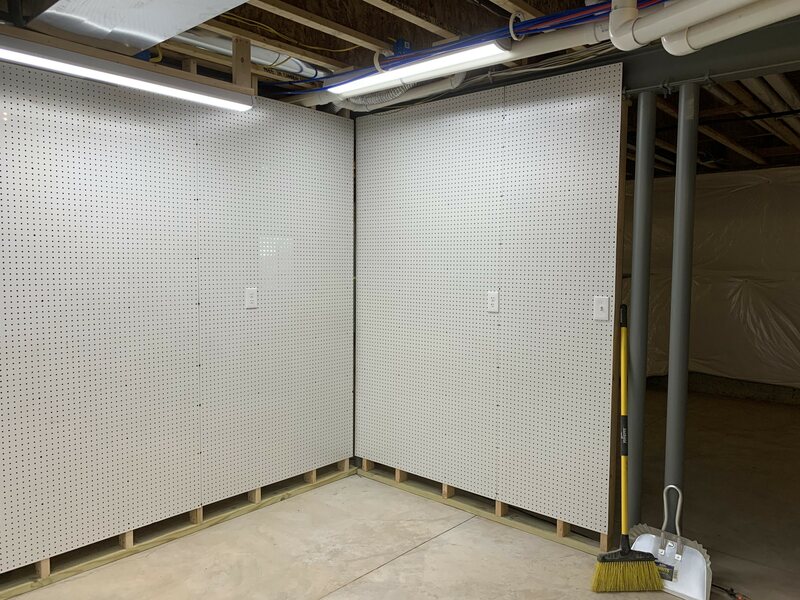 To accommodate his needs, we built a wall skinned with pegboard to hang all of his tools, accompanied by plenty of lights and outlets. 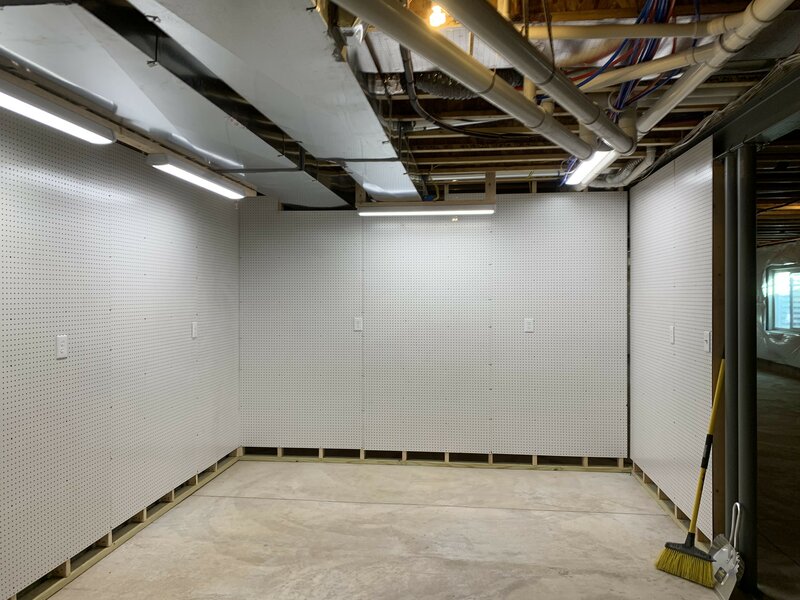 We know that a well-lit area with easy access to power sources is a must for our successful projects, so we wanted to give that to the homeowner as well! Looking to freshen up some of your own spaces? 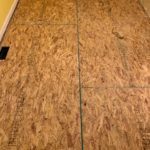 Get a free quote today from JR Carpentry & Tile. Josh is the owner of JR Carpentry & Tile. Josh Robinson is a dedicated, hard-working professional who delivers outstanding service and superlative workmanship. His attention to detail and pride in his work are truly commendable. We will use Josh again for additional work and we’ll surely recommend him to all our friends and family!